The BJP has demanded an unconditional apology from Congress chief Rahul Gandhi after a cartoon put up by his party in Telangana used Draupadi's Vastraharan from Mahabharata as an analogy during the protests on Thursday in Hyderabad. 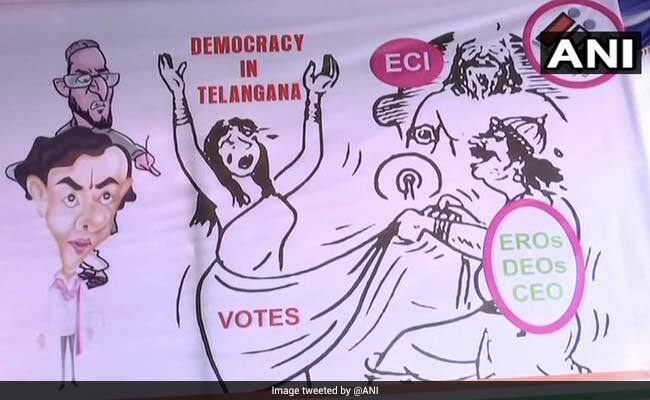 The apparently controversial poster titled "Democracy in Telangana" shows voters as Draupadi being 'disrobed' by the Election Commission of India (ECI), which is shown as the Kauravas and Telangana Chief Minister K Chandrashekar Rao and Asaduddin Owaisi, the All India Majlis-e-Ittehad-ul Muslimeen (AIMIM) chief, standing on either side as silent spectators. The Congress held a protest against the alleged failures of the poll panel to ensure a free-and-fair assembly elections in the state. Telangana BJP spokesperson, Krishna Sagar Rao questioned whether the newly-appointed Congress general secretary, Priyanka Gandhi Vadra would "approve" of women and Hindu mythological characters being used in cartoons. The poster titled "Democracy in Telangana" shows voters as Draupadi being 'disrobed'. The AIMIM chief, who also features in the cartoon, said that though it is everyone's right to protest, the way Congress workers used Draupadi in the poster "was completely wrong." "What if someone creates a cartoon of Sonia, Priyanka and Rahul Gandhi. How would the party react? I respect Sonia Gandhi a lot. The Congress party can protest for their rights but not in such a way that insults women," said Mr Owaisi. 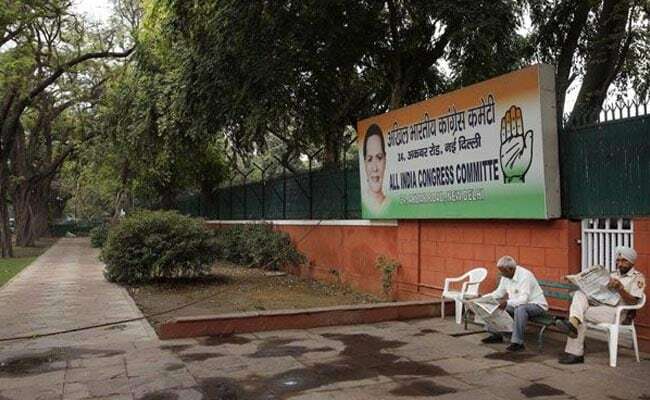 The Telangana Congress election committee chief, Marri Shashidhar Reddy said that he found nothing wrong in the posters. "The BJP must be out of their mind for seeking an apology from Rahul Gandhi and local Congress leaders. I will take complete responsibility for this poster. It has nothing to do with Hindu sentiment as it is a depiction showing what democracy in Telangana is being subjected to...The Election Commission is silent and they have failed to identify the mistakes in the electoral rolls. I being a Hindu will never do anything to hurt Hindu sentiments," Mr Reddy told news agency ANI.